The recent rise of rose as THE summer drink started with the arrival of `frose’ (a cheeky concoction of fruity frozen rose blended with strawberry syrup and served slushie-style) but bartenders worldwide are now turning their attention to the pink stuff (in all it’s styles from dry and crisp to ripe and sweet) and using it as the base for more complex, sophisticated drinks. Some are subtly spiked with vodka, gin, whisky or tequila, others are sweetened with sticky fruit-based liqueurs such as Cointreau and cassis, some are sharpened up with tangy citrus juices like pink grapefruit and lime, a few are pinned with the herby note of rosemary and basil-infused syrups or accented with delicate floral cordials, such as elderflower and rose. 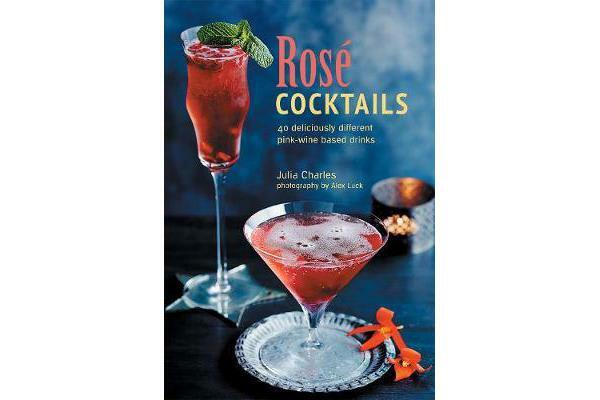 Rose also works beautifully in a fruit-filled summer punch, served in large bowls or pitchers and packed with juicy orchard and berry fruits. Here you’ll find recipes for all styles of recipe from short to long, flat to sparkling, tart to sweet and fun to fancy. Choose an elegant sparkling aperitif such as a Pom Pom or a Blackberry Bellini; a sophisticated sipper like the Rosy Glow or Pink Gimlet; a long refresher like a minty Rojito or Spanish Copa de Frutas; or an tooth-tingling icy treat such as a Twisted Frose or Raspberry and Rose Caipirinha; or why not share the good news with friends and fill a bowl with Just Peachy Punch or serve up a pitcher of Bourbon and Blue Iced Tea.